Metalix offers a full range of CAD/CAM capabilities for CNC Punch, Laser, Plasma, Flame and Combination machines, including support for sorting and stacking devices attached to your machine. Advanced technology combines Design, Automatic and Manual Processing, Automatic Nesting, efficient NC Generation, Graphic Simulation and Machine Communication (DNC). Geometry, Dimensions and Technology (Punching/Cutting) are completely associative – when the Geometry is modified, Dimensions and Technology are automatically updated! cncKad supports a wide range of machines and has a powerful solution for porting parts from one technology or machine type to another, such as from Punch to Laser. cncKad is affordable, user-friendly and comes complete with comprehensive documentation and support, from installation to production. Metalix offers optimal material utilization with AutoNest – cncKad’s automatic nesting module. AutoNest is a powerful True Shape nesting tool offering versatile methods for automatic and manual nesting to achieve the best possible nesting solutions. Fully Automated Nesting – select the parts and AutoNest does the rest. Hole Filling – interior holes in parts are identified and filled with compatible parts, creating efficient solutions. Multiple Material Nests – parts from different materials are sorted automatically and nested on appropriate sheets. 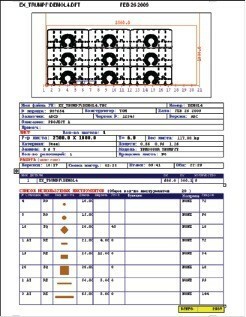 Multiple Sheet Solutions – nesting solutions can be generated on different sheet sizes, selected automatically for efficiency and the minimal number of sub-nests. True Shape or Rectangular Nesting – select the best strategy for faster solutions. 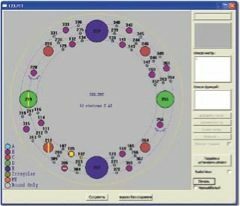 Manual Nesting – user-interactive positioning of parts, dragging, rotating and mirroring, all with the click of a mouse. Grouping – automatic and manual grouping of parts to simplify nesting solutions. Nesting Reports – include solution details, such as overall efficiency, individual sheet usage and part arrangement on the sheets. Integrate cncKad with ERP/MRP systems. Develop automated scripts for standard actions, such as batch Import and Processing of parts. documentation and a set of code examples. 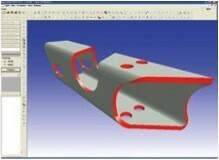 The CAD Link module enables one-click real-time transfer of parts from 3D CAD packages to cncKad. Parts can be transferred from SolidWorks®, Solid Edge®, Autodesk® Inventor® , Pro/ENGINEER® and Vertex® G4, using an on-line associative link, bypassing the need for intermediate files such as DXFs.